New homesites will be launched to market this month at Devine’s Mawson Green at Meadows, as demand for land in the Adelaide Hills intensifies. Mawson Green is launching Stage 5, which will feature large lots sized from 800 sqm and priced from $185,000. The largest homesite released is 1792sqm – the biggest at Mawson Green and the largest that Devine has ever marketed in South Australia. Only a few allotments are available from previous stages. Devine South Australia Communities Manager Troy Jamieson said the new land release would generate strong interest in the local market. Mr Jamieson said the community was rapidly changing shape, with new construction works bolstering interest from potential buyers. 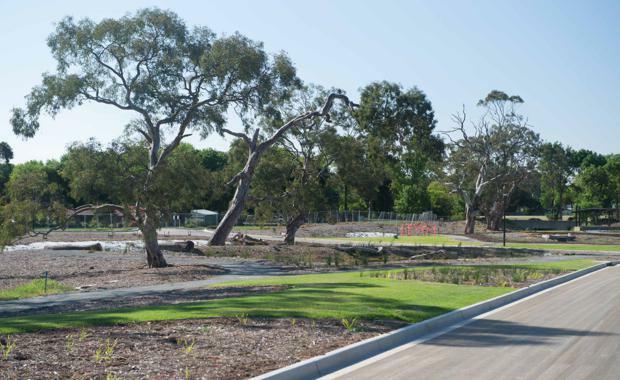 Located just 45 minutes from Adelaide, Mawson Green is a 30-hectare community that will feature 200 homes upon completion and cater to 600 residents.